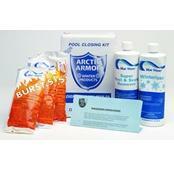 Heavy Duty Water Tubes for winterizing in ground swimming pools. 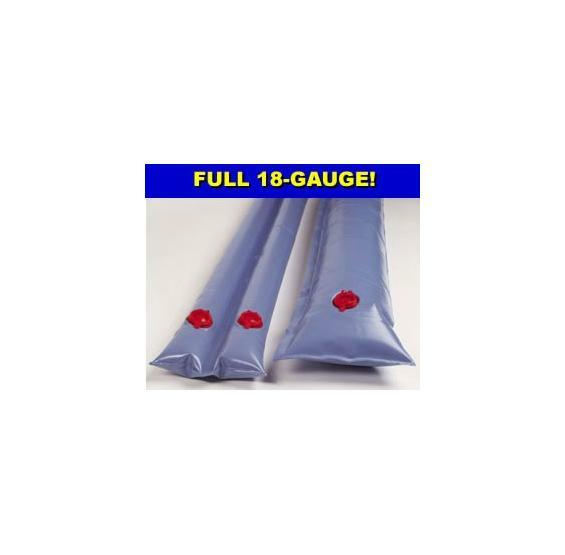 Tubes are available as singles or doubles in 8 foot or 10 foot lengths. 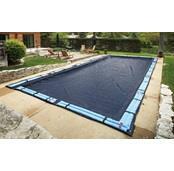 4 foot water bags are available in pairs for step sections and 2 foot x 2 foot tubes are available to secure the corners of in ground winter pool covers. FREE SHIPPING! 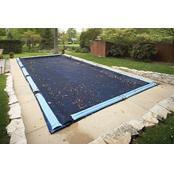 How many water tubes do you need to secure your in ground pool winter cover? 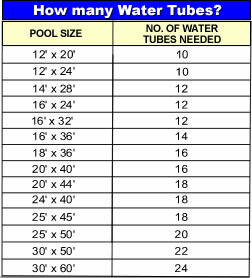 Check the Water Tube Chart. Tubes are available in single and double builds in either 8' or 10' lengths. 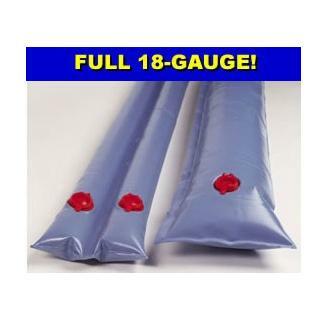 4' single tube water bags for step sections are also available and sold in pairs. 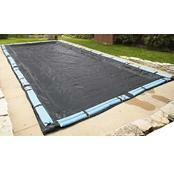 2' x 2' water tubes, designed to provide additional anchoring weight at the corners of winter covers, are also available.